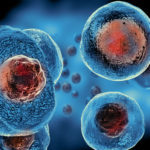 A detailed assessment of the current market landscape of cell therapy manufacturers, providing information on their headquarters, manufacturing facilities, type of cells handled (immune cells (such as T cells, dendritic cells, NK cells), stem cells (such as adult stem cells, human embryonic stem cells and induced pluripotent stem cells) and others), purpose of production (fulfilling in-house requirements / as a contract service provider), scale of operation (preclinical, clinical and commercial), source of cells (autologous and allogeneic) and type of cell cultures (adherent and suspension). The market features a mix of industry players and non-industry players.More than 60 non-industry players, including universities, research institutes and hospitals, are currently involved in manufacturing of cell-based therapies. An estimate of the installed cell therapy manufacturing capacity, in terms of number of cleanrooms and dedicated area, distributed by type of manufacturers (industry / non-industry), size of manufacturers (small-sized, mid-sized and large-sized organizations), geographical location (North America, EU and Asia-Pacific) and scale of operation (clinical and commercial). Over 40% of 200+ manufacturing facilities are located in Europe; this is followed by North America, wherein approximately 38% of the world's cell therapy manufacturing facilities are based. Other emerging pockets for cell therapy manufacturing include Australia, China, Japan, Singapore, South Korea and Israel; it is worth highlighting that facilities in these regions primarily cater to markets in the Asia-Pacific region only. Detailed profiles of key players (industry and non-industry) that offer contract manufacturing services for cell-based therapies; each profile presents an overview of the company, information on its manufacturing facilities, and recent collaborations. An elaborate discussion on the role of automation technologies in optimizing current manufacturing practices. Nearly 15 companies are actively providing support to cell therapy developers to improve their manufacturing process; these include (in alphabetical order) Berkeley Lights, Cesca Therapeutics, Ferrologix, FluDesign Sonics, GE Healthcare and Terumo BCT. Furthermore, five players, namely (in alphabetical order) Fraunhofer Institute for Manufacturing Engineering and Automation IPA, Invetech, KMC Systems, Mayo Clinic Center for Regenerative Medicine and RoosterBio, offer consultancy solutions related to automation. An analysis of over 150 collaborations focused on the manufacturing of cell-based therapies; the analysis is based on various parameters, such as the year in which the agreement was signed, type of agreement, and scale of operation (clinical and / or commercial). It is worth mentioning that, in the last three years, there has been a marked increase in number of collaborations focused on upgrading existing manufacturing processes. Examples of the companies that have entered into such deals include (in alphabetical order) ATMI, GE Healthcare, Hielscher Ultrasonics, Invetech, Pall, Reinnervate, Terumo BCT and Tokyo Electron. A robust market forecast analysis, highlighting the current value and future potential of the cell therapy manufacturing market, based on various parameters, such as type of cell therapy, source of cells, scale of operation, regional distribution and purpose of manufacturing. Driven by the rapidly evolving pipeline of advanced therapies and the increasing adoption of automated technologies, the cell therapy manufacturing market is expected to grow at an accelerated pace and be worth over USD 8 billion by 2030. T-cell therapies currently capture the largest share (~65%) in the market; this trend is unlikely to change during the forecast period.